The University of Wisconsin softball team kicked off their season in just about the best fashion possible. Wisconsin played four games in the Ramada Uni-Dome Classic in Cedar Falls, Iowa this past weekend and won all four contests. Out of the four victories, the Badgers shut out their opponents in two. Freshman pitcher Kaitlyn Menz, powerful offensive junior second baseman Kelsey Jenkins and senior catcher Chloe Miller were the key players behind these wins. Game one against the University of Northern Iowa Panthers gave the Badger faithful a preview of what they could expect from Menz in her debut season. A game that did not feature much offense from either side proved to be quite the pitchers’ duel. 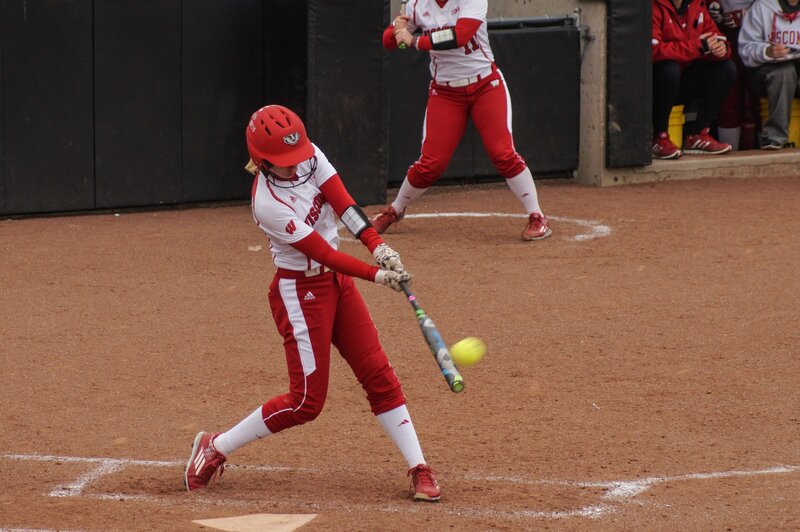 Senior Sara Novak ripped an RBI single to right to give Wisconsin the early 1-0. The Badgers did not get another base hit all game, but the one-run lead was all Menz needed to get the win. Menz’s line included seven innings with six strikeouts, allowing four hits and one walk. 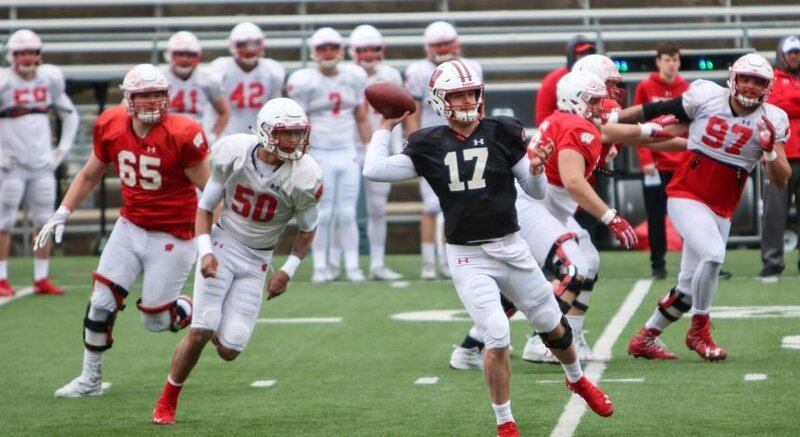 The following day, Wisconsin played a double-header against the University of Nebraska-Omaha Mavericks and the University of Toledo Rockets. This day offered much more offense in favor of the Badgers, which carried them to both victories. Wisconsin got rolling against Omaha with several RBIs from junior designated hitter Samantha Arents, with a sac-fly in the first and a two-RBI double in the third, making the score 3-0. A solo shot from Miller in the fourth gave the Badgers a 5-0 lead, and her bases-loaded two-RBI hit in the sixth inning gave UW an 8-0 lead, enforcing the run rule. Menz, who lived two hours away from Cedar Falls growing up, had another great outing for the second time in as many days, going four innings and only surrendering two hits and one walk with four punch outs, improving to 2-0 on the season. Senior Kristen Stevens got the final six outs, allowing no hits to pick up her first save of the season. 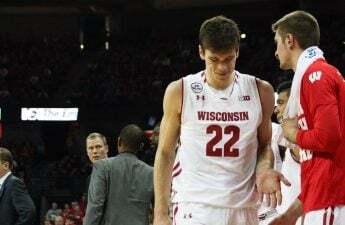 The Badgers were forced to play from behind in the second game of the day against Toledo. The Rockets’ lineup got to junior Mariah Watts early. 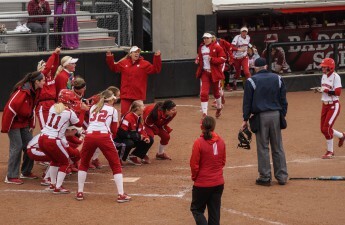 A run in the first inning, breaking UW pitching’s 13-inning scoreless streak, and a two-run homer in the third put Wisconsin down 3-0, forcing head coach Yvette Healy to make a pitching change, bringing in Stevens. But Wisconsin came roaring back in the bottom half of the frame, scoring four runs, including a two-run single from sophomore first baseman Stephanie Lombardo. The Badgers continued their surge in the fifth inning, tacking on five more runs, starting with sophomore left fielder Melanie Cross’ solo home run. Jenkins and Miller also contributed with RBI doubles. Entering the top of the seventh with UW leading 10-3, Toledo made a final effort, scoring four in the frame before sophomore Angela Morrow struck out the final batter to end the game. Stevens, who pitched three scoreless innings, received the win, and Morrow earned the save. Another battle of the pitchers took place in the final game against the Drake University Bulldogs, resulting in an extra-innings finish. Tied 1-1 in the eighth inning, the Badgers took a 2-1 lead on an error with two outs. Wisconsin took advantage of the mistake as Jenkins gave the Badgers a 4-1 lead with a two-run homer. Menz earned her third win of the season, going the full game with one earned run and five strikeouts. A run by Drake in the fourth inning snapped Menz’s 14-inning scoreless streak. The freshman now has a .37 ERA. Wisconsin heads to Tampa, Florida next for two games against the University of South Florida and Binghamton University on Feb. 16 at 4 and 6:15 p.m. EST.